This led me to wonder about how spambots actually "think"? Do they attack a form and, once they've done their damage, say "Ha, I have done my evil deed. Now I must run away quickly before I am caught, and find another form to defile!". Hmmm, maybe they do, in whatever programming language they use (although, most likely, they don't). Well, this got me thinking; if their behaviour is so predictable, can I use it against them as a simple anti-spam measure? So I devised a little test. Please note, this code is not a complete script. It is just a sample, stripped down to the basics so you can see the working method. Put simply, if the "website" field remained empty, then the script would send me an email - the true contact message from a real person. If however the "website" field was not empty, and contained input when the form was submitted, the script stopped dead. Once the "website" field was hidden with the CSS, humans couldn't accidentally type anything into it and the script would allow the email to be sent to me. My theory appears to be correct. Spambots really do focus on spamming the first form they find, before scarpering as quickly as possible, so if the first form they come to happens to be a decoy, their efforts are fruitless. 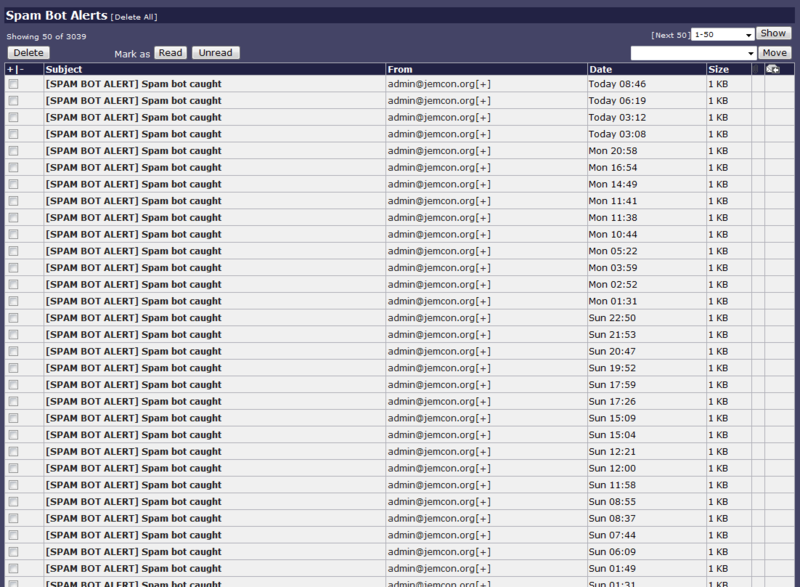 This approach has almost seen an end to my spam problems. Once the initial tests had been done, I turned off the spam-alert emails that the decoy form was generating and that left the real email account free to receive real contact form messages from real visitors. Include a simple decoy form at the top of the HTML / web page and comment it out with standard HTML comment tags - the spambots will see it, try to attack it, and then move on. Include a "trap" field on your real form that the processing php script will check for input - input = bot (exit) / empty = human (process). Hide the "trap" field with CSS so that a visitor can't type anything into it accidentally.